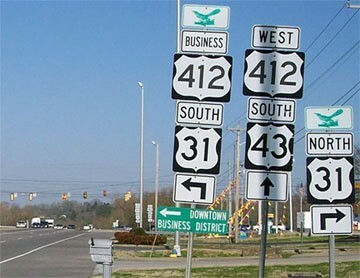 That was actually Business 412, and at one time that was the north beginning of US 43. 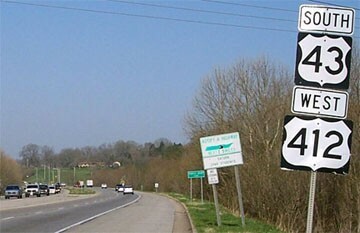 At some point, modern US 43 was built along the opposite (north) side of the railroad between Mt. 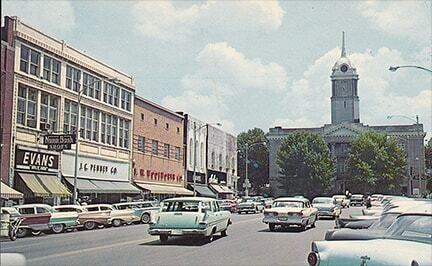 Pleasant and Columbia. That intersects 7th (actually the Hampshire Pike at that point) about four miles west of Trotwood, but US 43 was probably still signed east on Hampshire/7th to its endpoint at Garden. 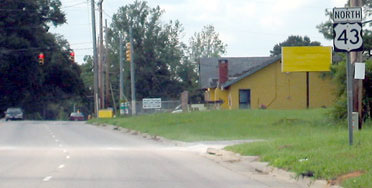 ...although that was gone by 2017; now the first marker is on the far side of the traffic signal visible in the distance. 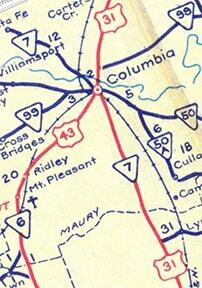 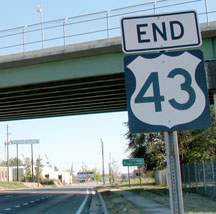 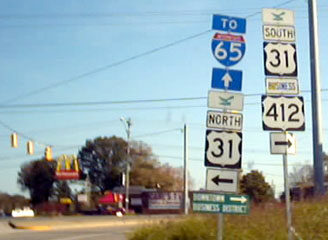 For decades, US 43 continued ahead a few more miles. 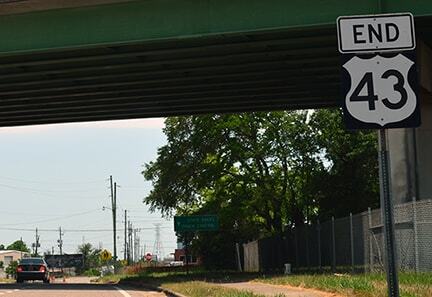 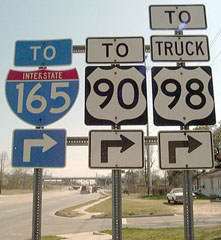 When the designation was initially truncated to this point, there was not an "End" sign, but ALDoT posted one later.